Like most other big cities, Lima has something for everything. You can live here on US$20/day including accommodation but you can as well spend US$2,000/day if you choose to. 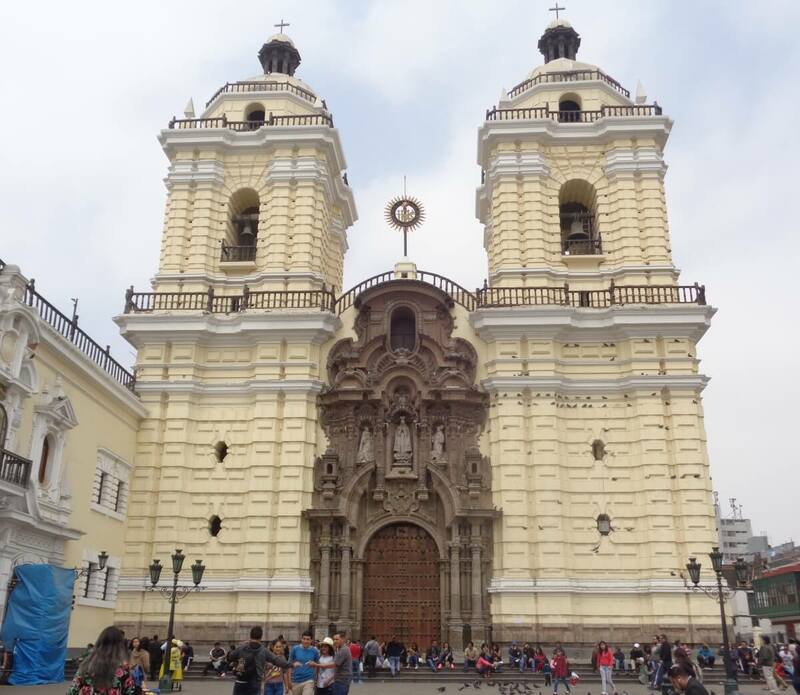 Although Lima is more expensive than the rest of Peru (than “provincias” as they use to say here), it’s actually not difficult to have a good time here without ending up broke. If it’s your first visit, I’d like to suggest 10 free or low-cost activities in Lima to get a feeling for the city. Chances are high that you will end up in Miraflores when you visit Lima. It’s a very nice and very safe neighbourhood at the coast. It’s also very touristic which obviously means that it’s more expensive than other neighbourhoods. I have good news for you, though: You don’t need to spend money to get to know Miraflores and enjoy it. I still remember my first weekend here. I had an AirBnB with ocean view, it was summer and while taking my first walk, I fell in love with this part of Lima. Well, the honeymoon is over now and today, I prefer Barranco but I still spend a lot of time in Miraflores, too. 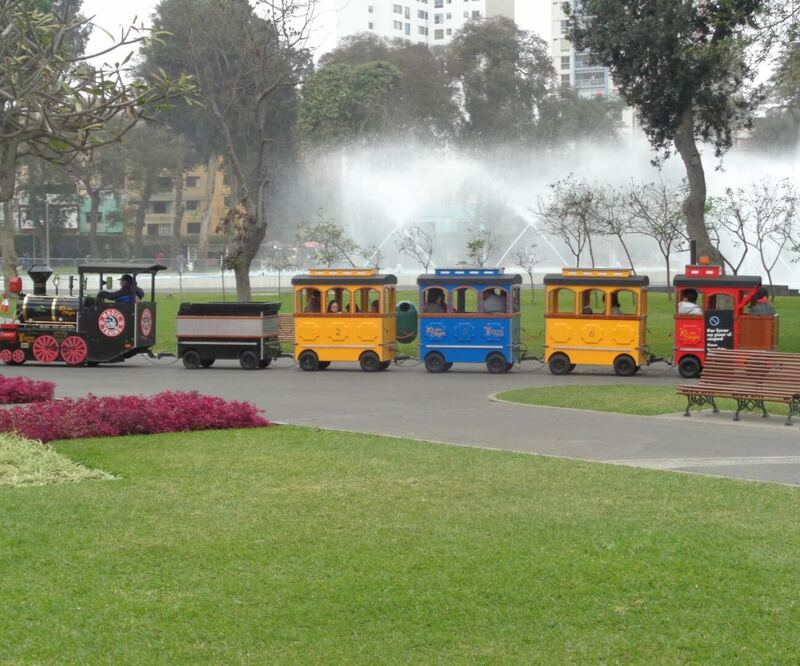 So for this list of free and low-cost activities in Lima, let’s start with some nice suggestions to explore Miraflores without spending money. Well, I suggest taking a break for a coffee or a juice once in while. Peruvian coffee and Peruvian juices are (almost) as good as Pisco Sour :-). 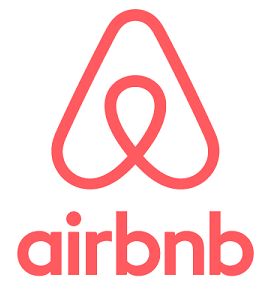 As I mentioned before, my first AirBnB in Lima was situated directly at Malecón Cisneros. I arrived quite late on a Saturday night and was totally stunned when I took the first walk on Sunday morning. First of all, the view onto the Pacific ocean is stunning, of course. And the parks make the experience even better. You can do sports there, have a picknick, take a walk or just recover from Lima’s stressful and noisy traffic situation. The parks are situated on the cliffs and there are several opportunities to descend to the beaches. Lima is a surf spot, even in winter. However, it doesn’t have pretty beaches, just stones and it’s noisy, too as there’s a main road directly at the coast. 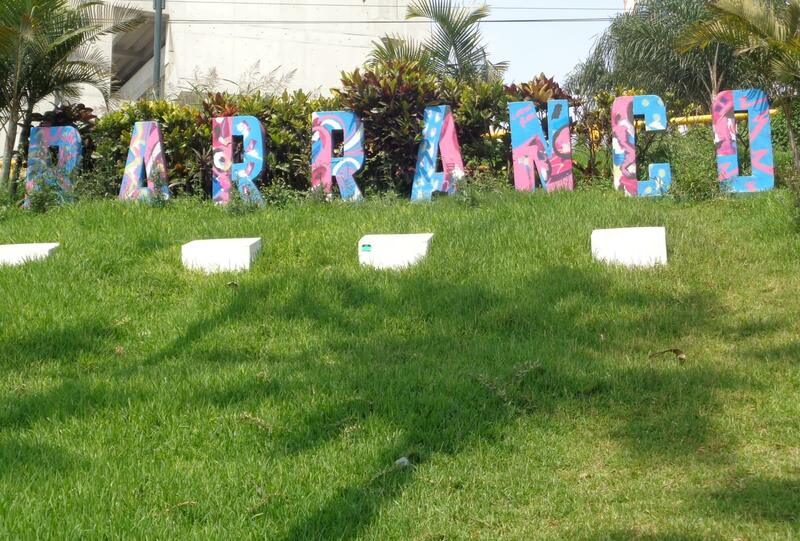 Barranco is situated south of Miraflores and considered to be Lima’s most bohemian neighbourhood. It’s where I live now when I’m Lima, so don’t hesitate to get in touch if you happen to be around. Depending on where in Miraflores you are, it’s approximately a 30-minutes walk, perhaps a bit longer when you follow the Malecóns. Barranco is great when you enjoy strolling along streets. It has a lot of old buildings and cute little cafés. When Peru’s most famous author and Nobel Prize winner Mario Vargas Llosa still lived in Lima, he had a house in Barranco. It’s smaller than Miraflores and you may want to pay some attention when you walk around alone in the northern parts at night. However, I’ve never felt unsafe here, just normal precautions like everywhere, especially as a female solo traveller. Parque Kennedy is the centre of Miraflores. You will find a lot of restaurants, cafés and shops around it. 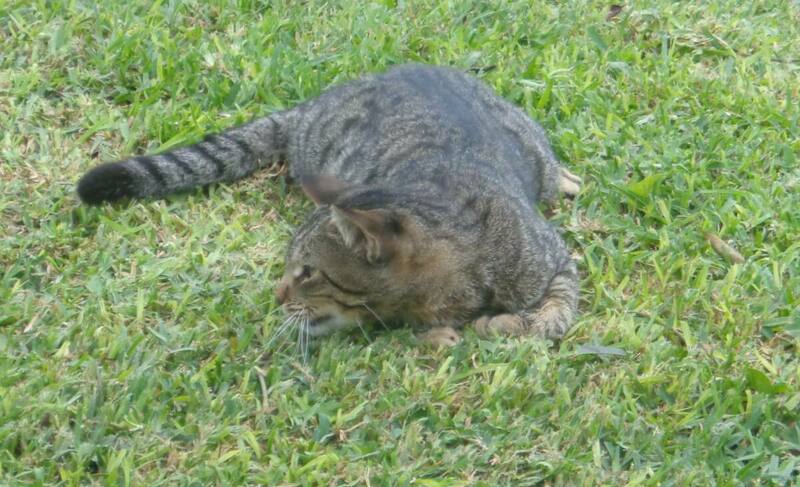 However, Parque Kennedy is also the home of a bunch of cats which are looked after by volunteers. They’re very tame and can be stroked. You will see most of them when you take a stroll through the park in the evening. Enjoy! The Centro Cultural Ricardo Palma is situated at Avenida José Larco 770. They offer touristic activities like guided walks for free or for a very low fee. I’m just not sure if it’s suitable for people who don’t speak Spanish. Well, if you do speak Spanish, here’s a link where you can download their current programs. The PDF’s are updated monthly. Miraflores is very touristic and you can certainly book a tour with one of those buses which show you around. Might be an option if you have little time but in my opinion, it’s not really necessary and it’s much more fun to explore the area on your own. 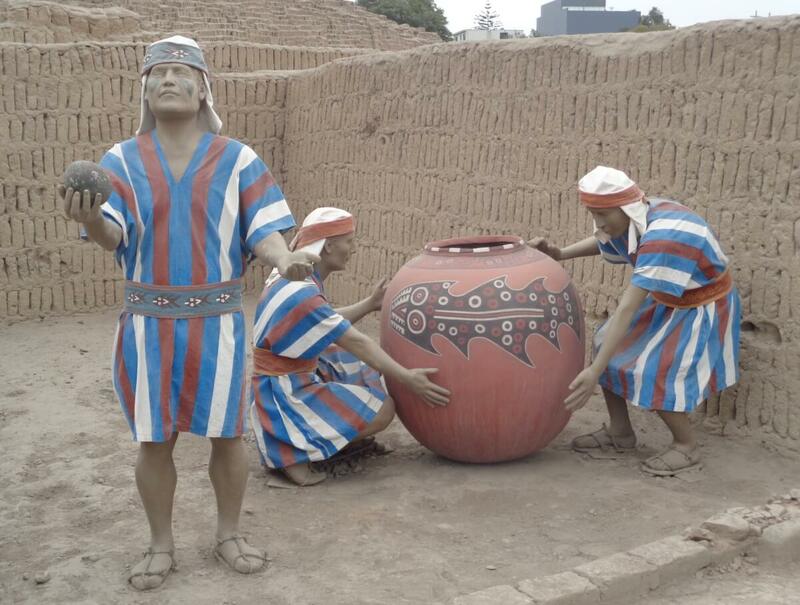 Huaca Pucllana is an archaeological site in the middle of Miraflores. It is open from Wednesday to Monday between 9 am and 5 pm and from Wednesday to Sunday from 7 – 10 pm. During the day, the entrance fee is 12 Soles (app. US$ 3.60) which includes a guided visit to the site with either an English or a Spanish-speaking guide. 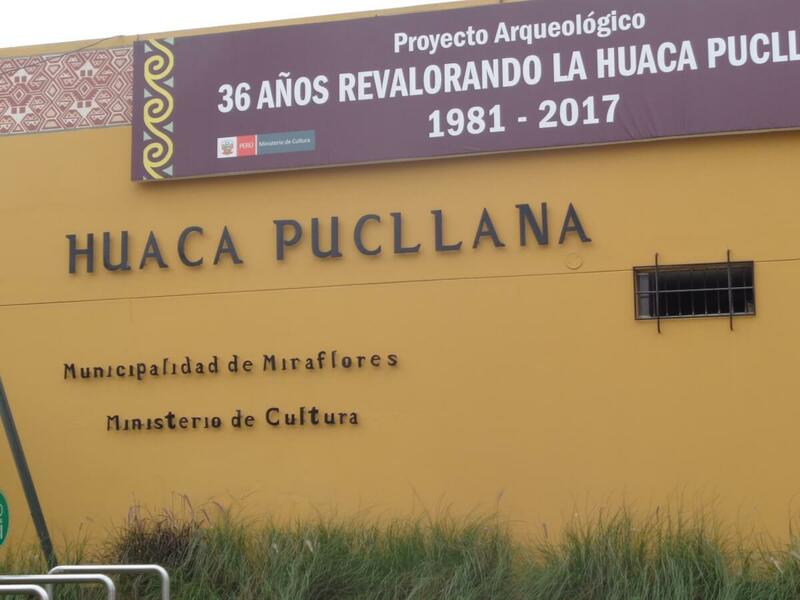 Apart from telling you the history of the people who once lived there (the oldest part of Huaca Pucllana is more than 1,500 years old), they’ll also show you some native plants and animals. There are guineas pigs (“cuys” as they’re called in Peru and yes, you also find them on the menu of many restaurants), llamas and alpacas. The tour lasts about one hour. I’m not sure how many tours they offer a day, I had to wait for about half an hour before mine started and used the time to have a look at the tiny museum and the souvenir shop (where the prices are quite affordable, too). 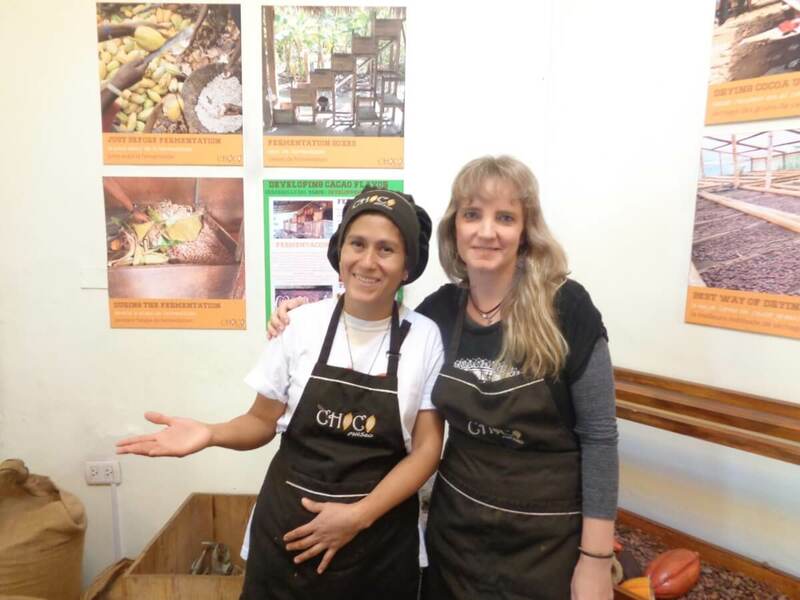 It’s actually not really a museum but rather a chain of stores/cafés which also offer information about the history of the cacao beans and the chocolate production. 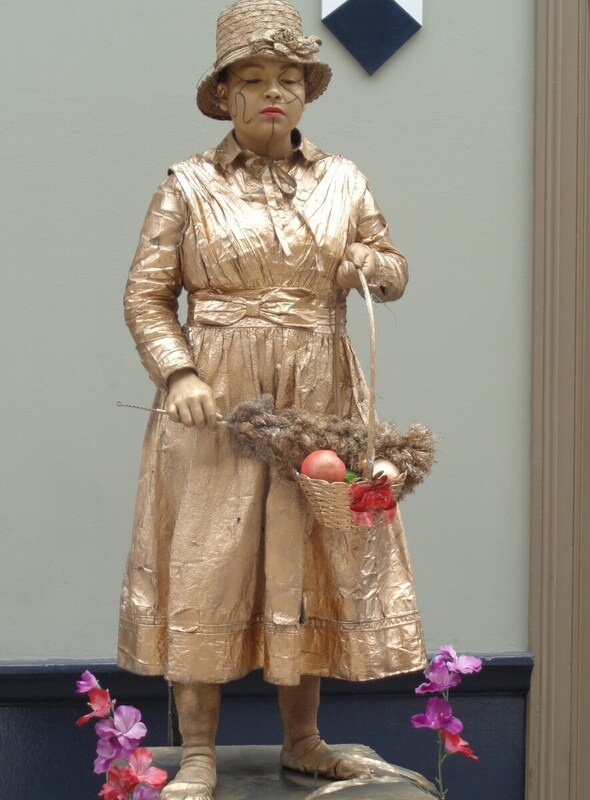 In Lima, they’re located downtown and in Miraflores (Diagonal and Calle Berlín). 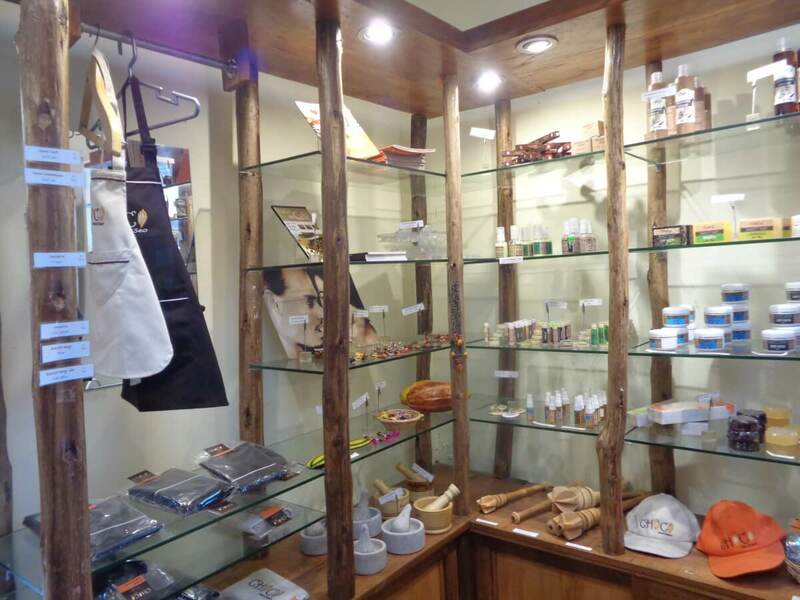 However, they also have stores in other Peruvian cities and countries such as Mexico or Nicaragua. They offer various workshops and I opted for the mini-workshop in Calle Berlín. The workshop cost 30 Soles (about US$9.00), lasts nearly 1.5 hours and also takes place when you’re the only participant. The instructions are given in Spanish and English. I had my workshop with a 6-years old girl from Texas and told the instructor that it would be fine if she only spoke English. I would have preferred it in Spanish but it wouldn’t have made much sense. My instructor during the workshop. Although I’m just 1.58 m tall, most Peruvian women are smaller :-). So we made some chocolate with different flavours. I made the mistake to add coca powder to one of my chocolates. Huge mistake indeed, it tasted horrible. But well, I was curious, of course. While our chocolates hardened in the fridge, our instructor showed us around and explained a lot of things. Afterwards, we could take our chocolates home. Taking a Metropolitano bus is the best way to get to downtown Lima. You need to purchase a travel card for S./5 and then each journey costs S./3. You can recharge as much or little as you like. The bus takes about 20 minutes from Miraflores to downtown Lima but be prepared that it is full. Often very full and it’s not uncommon that you cannot board the first bus because there’s simply no space for more passengers. Getting off the bus is not always an easy task, either. The doors seem to close automatically and I’ve already seen people who didn’t manage to get off in time. I always stayed as close to a door as possible and preferred not to sit down even if a seat became available. 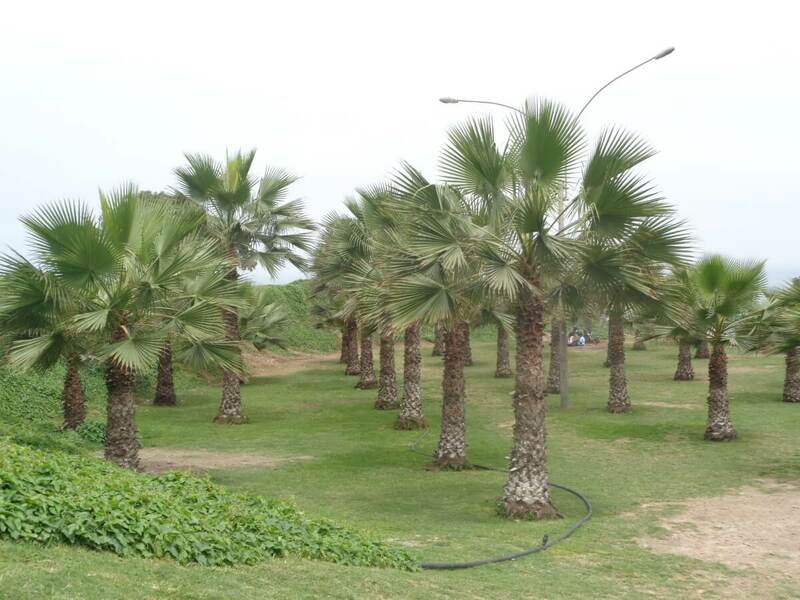 The Parque de la Reserva is situated next to Lima’s national stadium (Estadio Nacional), so that’s the Metropolitano stop where you have to get off. You have to pay an entrance fee of S./4 (app. $1). 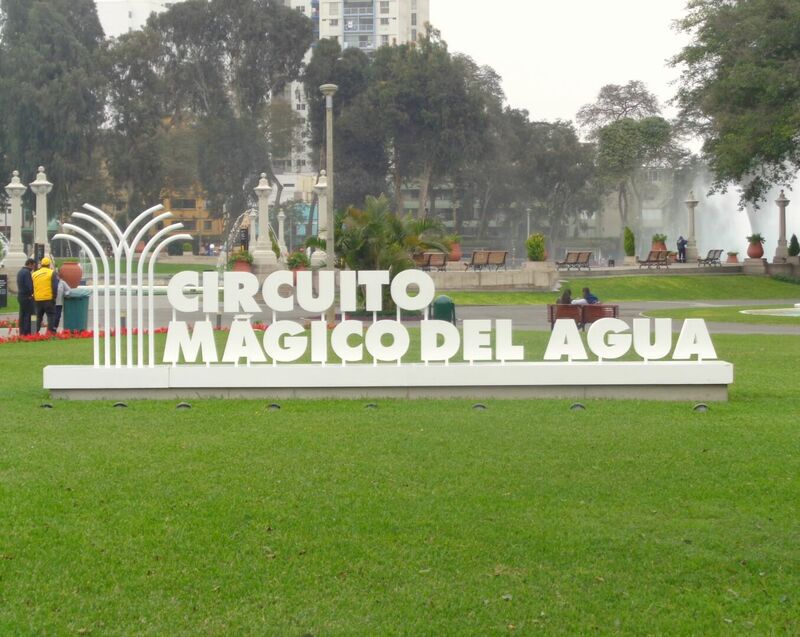 The so-called Magic Water Tour (Circuito Mágico del Agua) consists of 13 fountains, some of them with special effects and all lighted at night. There are also walk-in fountains, so you may want to bring your bathing suit in summer. The park has changing rooms, all very well organized. You won’t starve, either as there are small vending stands all around where you can buy water, coffee or Peruvian street food such as picarones or churros. In summer, it’s quite crowded. I went once in April at night and on a grey and cloudy September afternoon. The first experience was better but I didn’t manage to take good photos of the illuminated fountains. Which means that I need to return, of course. The closest Metropolitano stop to the historical centre of Lima is Jr. de la Unión, two stops after Estación Central. I never felt unsafe in downtown Lima but unlike in Miraflores, it happened a couple of times that some guy approached me and tried to talk to me. When this happened for the first time, it took me about 10 minutes to get rid of him because I was much too polite. Later on, I simply ignored all advances or bluntly told the person to leave me alone if he wouldn’t stop following me. Well, take a closer look at your belongings, too. Same precautions like in other big cities and crowded places. Common sense. Must-sees in the Centro Historica are the Plaza Mayor and the Monastery of San Francisco. Take some food and water with you if you want to avoid the rather pricey tourist cafés near Plaza Mayor. However, just like in Miraflores, there are also lots of cheap options to get something to eat. 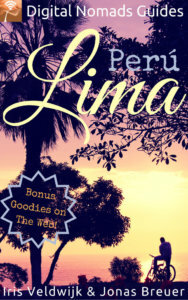 Have you been to Lima? Or do you plan to go there? Don’t hesitate to leave a comment and tell us about your experiences and plans. Which of the above-mentioned activities would you choose if you haven’t visited the city yet? I’ve always wanted to go to Peru, this list is really helpful!